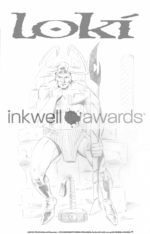 (New Bedford, MA/USA—February 22, 2018) The non-profit Inkwell Awards, devoted to promoting the art of comic book inking, is having their eighth annual Joe Sinnott Inking Challenge, beginning in April. 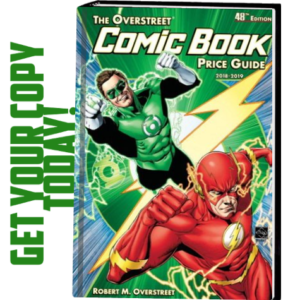 They also have their third annual Sinnott Inking Challenge Spotlight, which focuses on the pencil art of a legendary creator/artist/writer/publisher. 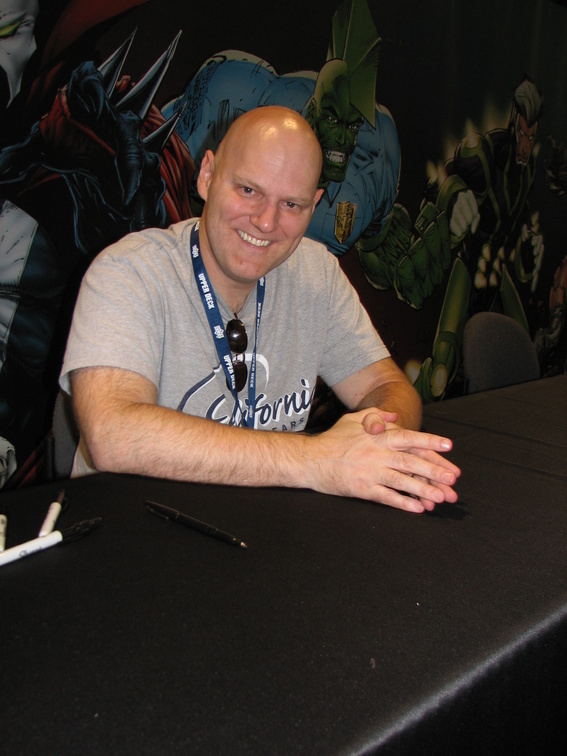 This year it’s Image Comics’ co-founder Erik Larsen. Artwork from both will be auctioned afterwards for fundraising. 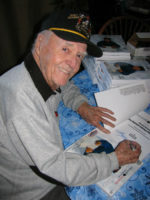 The original Inking Challenge educates the public about inking by having industry legend and Inkwell Special Ambassador Joe Sinnott do a tight pencil of a character plus a “breakdown,” or rough sketch of another. This year, the characters are from Marvel’s “Thor: Ragnarok” hit film with Loki and Hela. Sinnott’s art was scanned and the file sent in blue-line form to various inkers around the globe to finish and/or embellish in ink. Ink artists contributing their skills this year include Ken Branch, Anthony Fowler, Jason Moore, Joe Orsak, Terry Pavlet, J.L. Straw, Scott Rosema, Tom Schloendorn, Mark Stegbauer, Neil Vokes, Keith Williams and dozens of others, plus members of the Sinnott family. 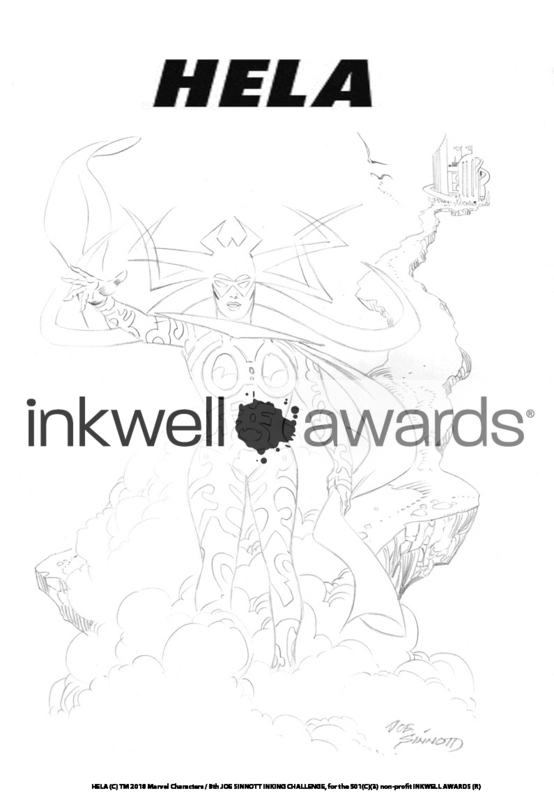 Submitted art may be viewed at The Inkwells’ ComicArtFans gallery. 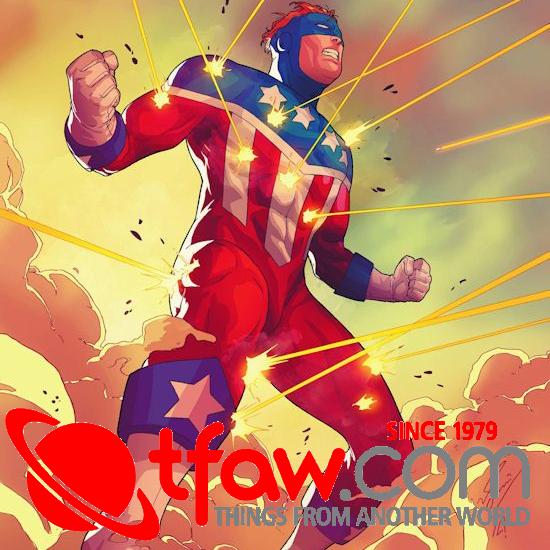 All pieces will be personally signed by Sinnott and include a certificate of authenticity. 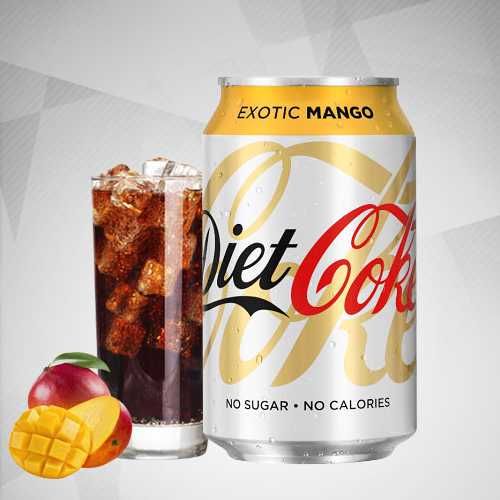 Coordinated by Almond, this year’s Challenge Spotlight on Erik Larsen is different. 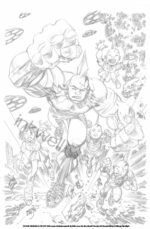 Unlike previous years which featured a published art page, Larsen is the first to create a cover-quality drawing, featuring his “Savage Dragon” creation and cast members, exclusively for this Inkwell event. All pages will be signed by Larsen and the inkers, and include a COA. Completed pages at press time include those by Keith Champagne, Richard Clark, John Dell, Geof Isherwood, Mark McKenna, Rudy Nebres, Andy Owens, Joe Prado, Rodney Ramos, Scott Rosema, Alex Saviuk, Mike Sellers, Andy Smith, Le Beau Underwood, Neil Vokes, Keith Williams and several students from the Kubert School. 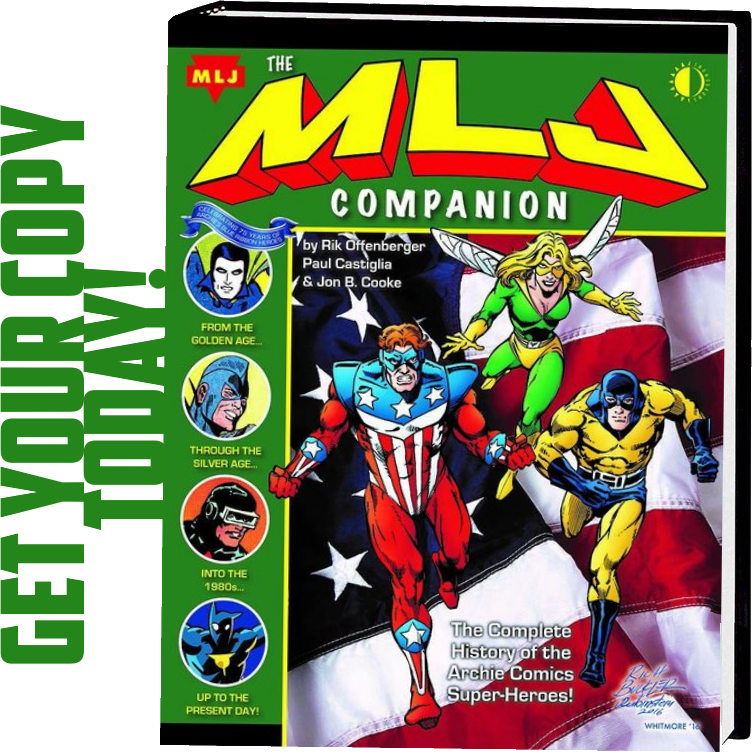 Auctions for the Larsen Challenge original art will commence in February (date to be announced) on eBay and every other week thereafter, followed by the Joe Sinnott Challenge art and other late additions. The Sinnott art will eventually be collected into a book (the sixth such edition). Tentative plans are to also release a Larsen “Savage Dragon” book. 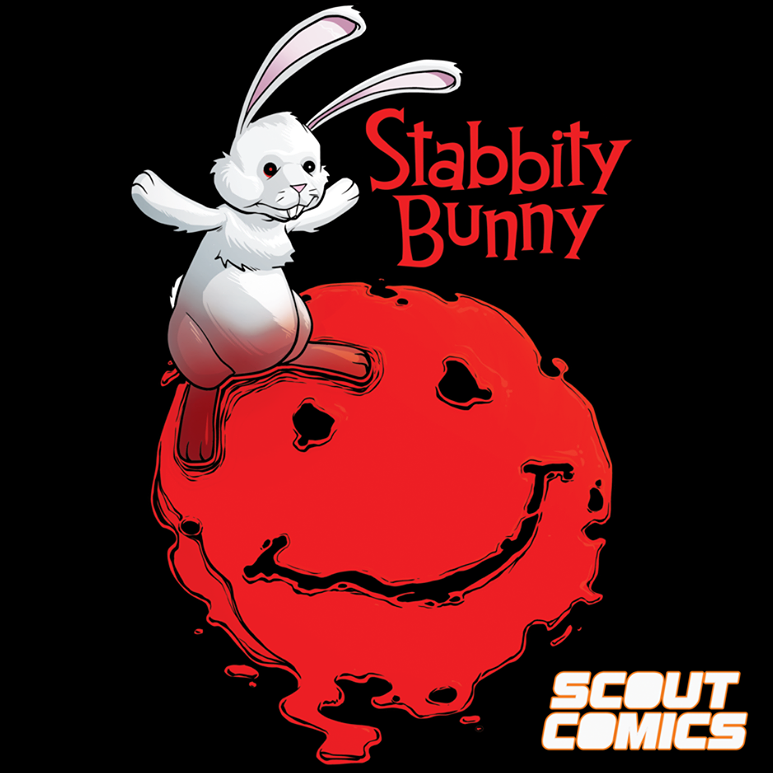 Previous editions, along with other merchandise, are available for donations to the organization through their web store. 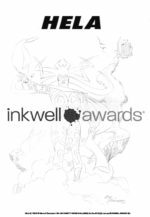 The Inkwell Awards is an official 501(c)(3) non-profit organization whose mission is to educate the public and promote the art form of comic-book inking, as well as annually recognize the best ink artists and their work. Now celebrating its 10th anniversary, the organization is overseen by a committee of industry professionals and assisted by various professional ambassadors and numerous contributors. 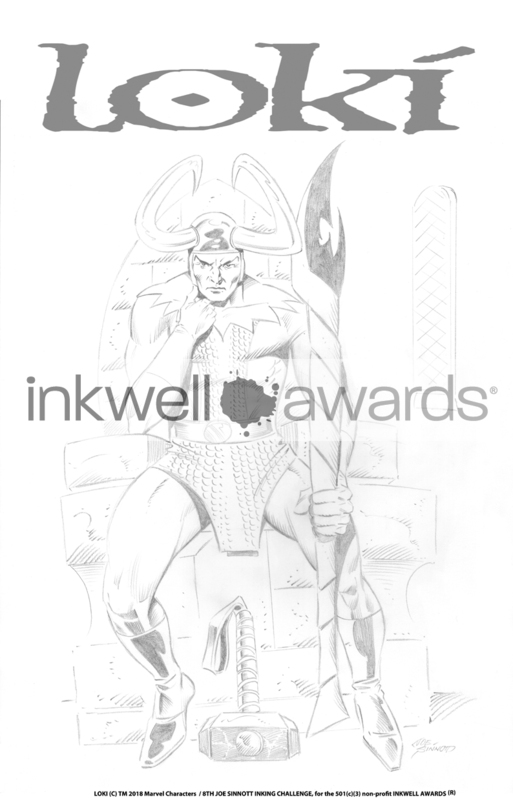 They sponsor the Dave Simons Inkwell Memorial Scholarship Fund for the Kubert School and host the Joe Sinnott Hall of Fame Award.